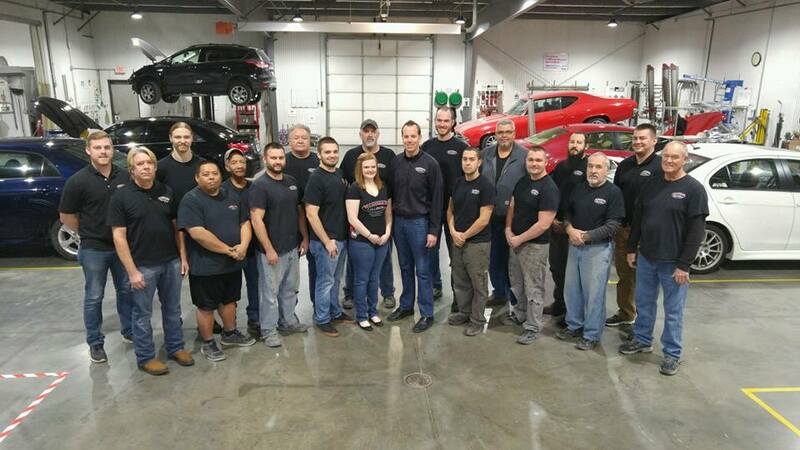 A collision repair facility can undergo a radical transformation for the better if leaders can bring employees into the process and make them leaders as well, according to a manager who converted his shop from a $700,000-a-year business to a $3 million one. 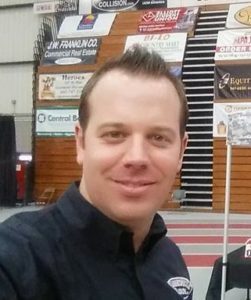 Lund was told that none of what he learned during his business management degree and MBA would work at his father’s body shop when he took over Warrensburg Collision in 2006 during the elder Lund’s illness. “‘These are men and they work with their hands,'” he said he was told. Lean techniques wouldn’t work, as unlike a factory’s output, every collision repair is different. As for a team shop system, well, someone tried it in the 1980s somewhere and it didn’t work. So scratch that, too. By 2011, “I started having a little pity party,” discouraged by the insurer control and victimhood of the collision repair industry, Lund said. Doing “some heavy soul searching,” Lund decided that he would run the business the way he had wanted to all along or he would quit. Lund instituted lean principles and a team concept, and Warrensburg Collision has “basically completely transformed our business.” It discouraged “mercenaries” by axing commissions and focused on building up its employees, according to Lund. Prior to the switch, the shop did around $700,000 a year during his first decade, thinking “‘High five. We’re awesome,'” in a year reaching around $830,000. Post-change: “This year we’ll do around $3 million,” he said. Next year ought to be $4 million. The shop told employees, “‘We’re going to involve you more,'” and started to set aside time for shopwide discussion in the mornings. “We don’t fix cars for the first hour and a half that people come to work,” Lund said. Instead, “we fix the process” of fixing cars, he said. Everyone from the top brass to lower-level staffers like detailers take turns leading the meeting. The leader is responsible for pulling the shop’s scoreboard, which gives everyone experience on Warrensburg Collision’s CCC ONE management system. Each employee is expected to teach something, and the experience of being the teacher who asks a question and gets “crickets” causes employees to realize how awful a silent audience can be, according to Lund. They’re more inclined to participate in future meetings. The first year involved Lund teaching and leading the classes, which was a “massive effort” at first, he said. But this laid the foundation for him to hand the meetings over to employees, and for over a year, the staff has run the meetings. “The discussions are way better now,” he said. His employees have gone from “not very good students” to good students, and they’re not just improving in their particular role — they’re becoming leaders, Lund said. “It would happen even without me here,” he said of the meetings. Sometimes, there’s a set curriculum. Other times, the choice of what to teach is left up whoever is the leader that day, and those teachers are empowered to pick something way out of left field if the classes have gotten too bogged down on fixing vehicles. Lund said one of the best morning meetings at Warrensburg Collision involved an employee showing a YouTube video about how we’ve all been using the seat guards on public toilets incorrectly. “We don’t really care what it is,” he said of the class topic. The meetings also discuss the team’s scoreboard performance and other shop information, and anyone with good news is asked to share it. “The ‘lean learning’ is what we call it,” he said. Management is just making someone do their job, according to Lund. “We’re asking them to do more than their job,” he said. 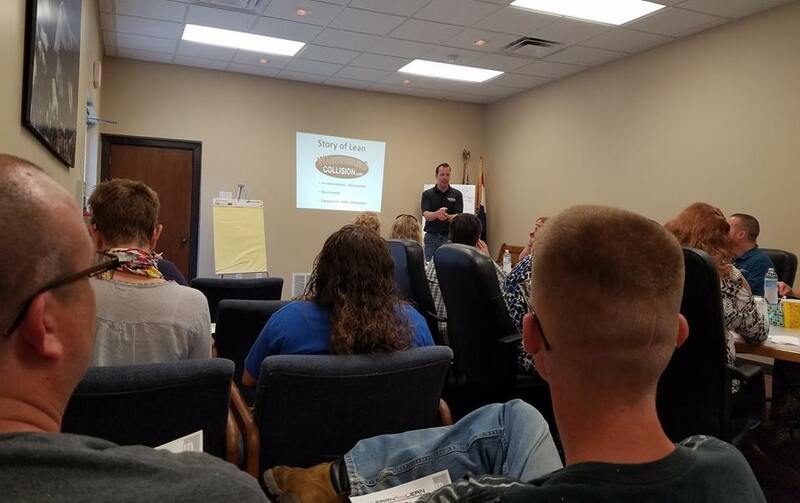 At Warrensburg Collision, the bosses want employees’ minds, not just their hands, he said. “Leaders grow leaders. Managers control people,” he said. Lund said employees need to be free to think for themselves and even make mistakes, likening the process of leadership to parenting. “Leaders make people feel safe,” he said. Coach and teach staff. If you don’t think an employee’s capable, that’s on you and your hiring process, he said. “Most people are capable of learning,” Lund said. Lund said he went about the switch to a lean shop, team pay plan and the morning meetings very transparently and deliberately, and held offsite visits and little retreats with staff before pulling the trigger. “We were very, very slow and deliberate,” Lund said. He said he expected some staffers would quit, but we “got lucky” and didn’t lose anybody — something he attributed to the pace and openness of the rollout. He said the shop even was able to sway A-level technicians that the piece-rate commission pay plan merely encouraged bad behavior. 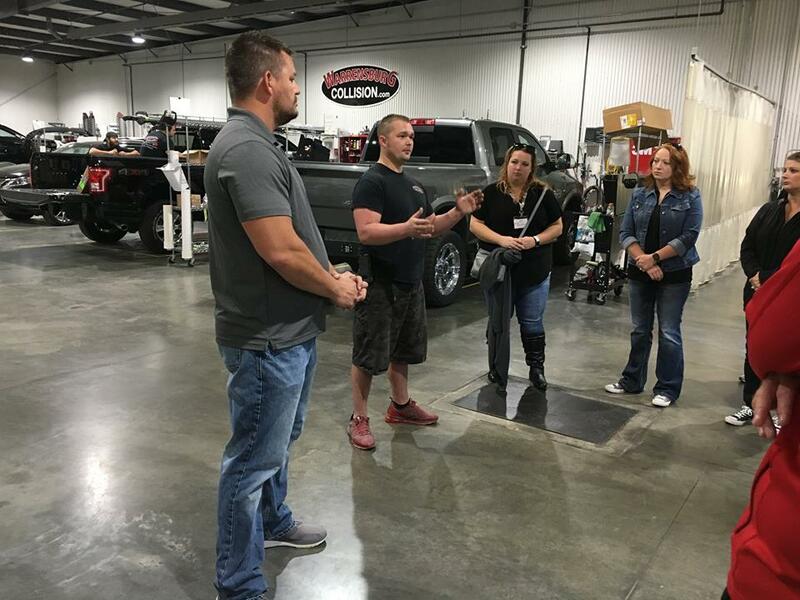 Having already discussed how the pay plan conversion would affect technicians (they’d make the same, if not more), the Warrensburg Collision staff toured another shop who’d implemented similar changes and then raced go-karts and had a retreat, followed by a lunch-and-learn and debrief the next day. “It was their idea,” Lund said — it wasn’t something management dumped upon them.